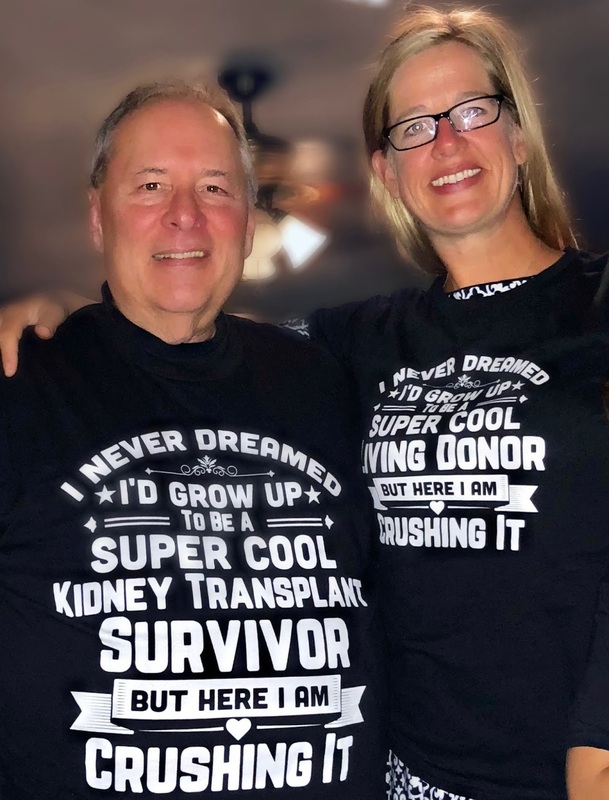 After learning about the process, Worden entered himself as part of a “chain”—people willing to donate who don’t match the person they know who is seeking a kidney. Worden ultimately donated his kidney Nov. 9 to a California resident he’d never met. And he explained that as part of the chain his recipient’s brother-in-law ended up donating his kidney to someone else. Worden said his firm has been supportive through the whole process as he recovers. He joined Schiff Hardin’s San Francisco office in 2007 after the Chicago-based firm merged with his former firm, Morgenstein & Jubelirer. Worden started with Morgenstein & Jubelirer in 1989 and previously served a stint as its managing partner. Worden estimates that he’s tried about 50 cases for plaintiffs and defendants in state and federal courts during his career. He has no trial scheduled until January. Since the surgery, he has been mostly working from home. “Most lawyers can [donate] because lawyers can work remotely,” said Worden, urging his fellow attorneys to sign up as donors. Worden said the most challenging part of the process has been the recovery stage. Prior to the surgery, Worden used to compete in a number sports, including soccer and basketball. He is also a black belt kung fu instructor, who has won multiple golds at the National Kung Fu Championships in Baltimore. Worden has to put those physical activities on hold until he is fully recovered. “My six-pack is now a bulbous one-pack,” Worden said. Despite the pain and recovery process, Worden said he has only one regret: “I wish I had done it sooner.” He encourages more people to consider this life-saving gift. 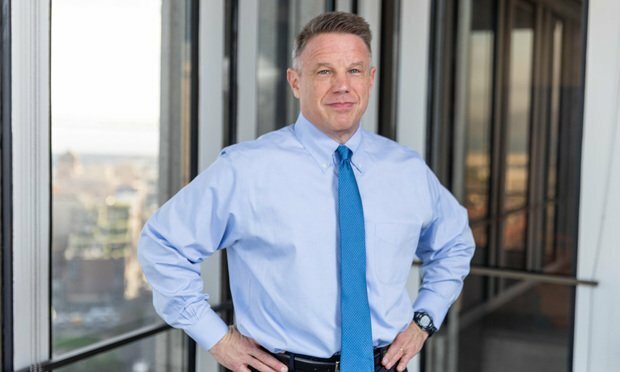 Article from The Recorder at https://www.law.com/therecorder/2018/12/21/a-san-francisco-trial-lawyer-gives-a-life-saving-gift/. KidneyQuest’s goal is to increase public awareness of the pervasiveness of kidney disease in order to reach and bring forth healthy donors to share their gifts of life through all forms of donation, including kidney transplant chains, paired kidney donations and direct kidney donations. Sometime ago I was drowning, but I am alive today because of the heroic intervention of an extraordinary life-saver. In the pre-dawn hours of July 19, 2017, a 44-year old athlete who rows on the Charles River several times each week, saw me in extreme distress, jumped in, pulled me out, administered a life-saving procedure and saved my life. Both of us are fine now and I could not be more grateful. She saved my life. I was dying, circling the drain, surely spiraling in and not slowly. But it wasn’t what you might be thinking. I was drowning in a river alright, but it wasn’t the Charles. I was drowning in a river of toxic waste products that my diseased kidneys were failing to remove from my body. My heroic life-saver donated her left kidney to me so that I could live. As soon as I could get back on my feet, I set about helping others in similar predicaments. My journey through the kidney transplant process was, for me and for most kidney patients, an uncharted high-stakes adventure into the unknown. There’s no “how to” book on finding a kidney donor. There’s no phone number to call to get a kidney. And you can’t buy one - that’s a federal crime. There’s no store with kidneys on a shelf waiting to be implanted into kidney recipients. When you need a kidney, you need a kidney desperately. You need a kidney to continue to live. Dialysis is a relatively temporary solution. Live kidney transplant patients can have a normal life expectancy and a normal quality of life. Not so with dialysis patients who must be connected to machines for extended periods, and fight a never-ending battle with fatigue and substantially diminished quality and duration of life. I needed a kidney and I needed it quickly. I was told that the national waiting list for a kidney would involve a 5- to 7-year wait. For some that's interminable. I viewed my health problem as a possible death sentence that needed to be converted to only a health problem and eventually a health solution. I sought advice from friends and non-profit organizations. And I consulted with doctors, social media experts and medical insurance professionals. I needed information from and advice in a variety of disciplines. It was suggested that I circulate a flyer with my photo, my need and my phone number and hope for the best. Others told me to wait on the UNOS list (5 or more years). I learned that some depended on lawn signs and bumper stickers. But none of the proposed approaches to finding a kidney donor struck me as particularly viable. So, after digesting everything that I had learned, I embarked upon a course of action of my own design. I was going to save my life. I wasn’t going to sit around waiting for someone to find a donor for me. I had to find my own donor. And that’s what I did. Paraphrasing Liam Neeson, I have a particular set of skills; skills I have acquired over a very long career. I don’t claim great expertise, but I have a sufficient working knowledge in certain areas that I was able to deploy in my personal Kidney Quest. To put it simply, I created a website (using Google’s Blogger.com), and launched a social media campaign (using Facebook.com). Phase A was website design. Phase B was to design and launch a social media campaign. I had good success with both elements of my Kidney Quest. More than a thousand people shared my Facebook post and my Blogger.com webpage experienced 18,000 pageviews. Within three months, a person I had never met and did not previously know, Cheri Ruane, then a 44-year old wife, mother of two, saw my re-posted Facebook post, went on to read my blog page and decided that this was something that she could do. She could save my life. And she did. That’s the nickel version. There’s a lot more to our story, but that’s basically what brought Cheri and me together and that's the reason thata I am doing so well today. As soon as I was back on my feet, I knew I had a mission. My mission was to bring my Kidney Quest experience to others so that they could clone it and go on to live and enjoy their lives, like I was doing. 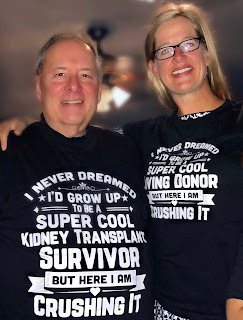 Since my kidney transplant, Cheri and I have worked with more than a dozen kidney patients or their parents (that’s right, some of the people we’ve helped are children). And our efforts have been successful. So far our KidneyQuest efforts have helped find kidney donors for 5 transplanted patients, and others are scheduled or have potential donors undergoing screening and testing. Many factors weigh into the success of each patient's personal Kidney Quest. Webpage and social media design and message clearly are very important but the biggest differentiator appears to be the patient’s own efforts in getting the word out. Having a supporting team of family and friends eases that burden. All of our successful Kidney Quests are marked by aggressive and continued social media campaigns. Most of the Kidney Quests that are languishing are marked by minimal efforts to apply the powers of social media to finding a donor. Some of our Kidney Quests that resulted in transplants are 4FredAKidney.com (3-1/2 years on dialysis, Direct Kidney Donation 3 months after KQ's intervention); Kidney4Leesa.com (transplanted pre-dialysis via Kidney Transplant Chain after less than one year); and Kidney4Jackie.com (3 years of dialysis, Direct Kidney Donation within one year after KQ's intervention) and 18-year old Kidney4Matt.com (donor approved within 6 months). Other Kidney Quests that are in progress and doing well include 16-year old Kidney4Aidan.com (4.5 million pageviews; 60+ requests for donor questionnaire, plus overflow inquiries directed to DonorToDonor.org; and Kidney4Saul.com (pre-dialysis). Still others are in progress. We are now inundated with demand for our free service. We are overwhelmed and unable to help all the people who seek us out for their own personal Kidney Quests. So we’ve been thinking about how to effectively leverage the knowledge and skills that we've developed in our self-funded non-profit volunteer work to raise kidney donation awareness in order to reach more donors and help more patients save their lives. And that’s the reason for this message. KidneyQuest envisions conducting a variety of educational and motivational projects, including a 2-hour presentation to potential candidate kidney activists, a one-in-one personal and/or class project for computer or business students, and a full-term college course, mixing non-profit, social media, webpage design, marketing, business development and other areas of learning. The goal of KidneyQuest projects would be to expand the body of volunteers assisting others in finding and educating kidney donors in order to exponentiate the pool of available kidney donors. The potential impact of successful KidneyQuest projects is enormous. Successful KidneyQuest projects will save lives. And students, once engaged in helping others, could become interested in and committed to one or more areas of philanthropic work in which they gain experience. KidneyQuest volunteers would work with your school’s faculty to develop a tailored course and we could deliver motivational speakers including: directed kidney donor Cheri Ruane; non-directed kidney donor, Ned Brooks, a TEDx speaker, and founder of Donor To Donor; kidney donor Chabad Rabbi Boruch Wolf, founder of Kidney Assist, and others. If you or your school is interested in exploring KidneyQuest's projects, please let us know. Contact us through the forms on this page. Watch Ned's TEDx talk and as imbedded in Kidney4Aidan.com. Navigating the kidney transplant world as a desperate recipient-to-be is daunting. We're going to try to make it easier in many ways. On this blog we will explain what we've learned as kidney recipients and kidney donors. Dialysis and the UNOS list are the most common options but living kidney transplant is the best, albeit least used treatment. It's the least used because there is an insufficient number of donors relative to the population of patients needing transplant. But I received a living donation and I've helped others find their ways to doing the same. There can be no guarantees, but there are ways to improve your possibilities. We are still learning, but webelieve that we've acquired enough information to share with others who need transplants. How Did I Find My Donor? To put it simply, I created a website (using Google’s Blogger.com), and launched a social media campaign (using Facebook.com). Phase A was website design. Phase B was designing and launching a social media campaign. Some people think that a Facebook page or group will work. Ask them how that approach is working for them. Facebook is great for getting the word out. I don’t think that it’s a good place for conveying information to donors so that they might act upon it. A webpage is better for that, in my opinion. That is the reason that I use (a) a webpage with a unique but memorable name containing information to be conveyed (such as Kidney4Aidan.com) and (b) Facebook to spread that information by directing interested persons to the webpage for more detailed information. Most importantly, I don't advise asking for a kidney. It's too big an ask. Ask for something that masses of people would be readily willing to do, such as sharing your post. I advise that people just ask that their posts to Facebook be shared. It doesn't cost anything and people can easily help you simply by sharing your post; very little effort but potentially a huge result. I’m not a fan of Facebook groups or pages for generating interest in potential kidney donors because Facebook pages or groups don’t allow for the freedom of content organization and graphics available with webpages. Facebook wasn’t designed to be a webpage. It was designed to be a platform for multi-voice information and opinion sharing. That's how you should use it. Using Facebook to present information to kidney donors on which they might act is like using a shotgun to hit a target a mile away. You won’t reach them. Webpages, by contrast, allow for embedded informational videos, custom content and organization, and much more effective targeted messaging. Viewing a webpage can be largely a single voice experience. You can stay on task and avoid distracting, off-topic material from coming in. Not so with Facebook. So I use webpages built with a very simple tool (Blogger.com). Blogger is easy to use, modify and update. Plus it comes with built-in analytical tools that allow you to see how your posts are doing. I had good success with both elements (Parts A and B) of my personal Kidney Quest (Kidney4Ellis.com). More than a thousand people shared my personal Facebook post and my Blogger.com webpage drew 18,000 page views. Within three months, a person whom I had never previously met and did not previously know, Cheri Ruane (co-creator of this blog), then a 44-year old wife and mother of two, saw my twice re-posted Facebook post (3 levels removed from my first post), went on to read my webpage and decided that this was something that she could do. She could save my life. And she did. That’s the nickel version. There’s a lot more to our story, but that’s basically what brought Cheri and me together and that's the reason that I am alive and thriving today. As soon as I was back on my feet, I knew I had a mission. My mission was to bring my Kidney Quest experience to others so that they could clone it and go on to live and enjoy their lives, like I was doing. Following my kidney transplant, Cheri and I have worked with 20 kidney patients or their parents (that’s right, some of the people we’ve helped are children). And some of our efforts have been successful. So far our KidneyQuest efforts have helped find kidney donors for 5 transplanted patients. Other patients are scheduled for transplant or have potential donors undergoing screening and testing. Many factors weigh into the success of each patient's personal Kidney Quest. Webpage and social media design and message clearly are very important but the biggest differentiator appears to be the patient’s and their team's own efforts in getting the word out. Having a supporting team of family and friends eases that burden. All of our successful Kidney Quests are marked by aggressive and continued social media campaigns. Conversely, most of the Kidney Quests that are languishing are marked by minimal efforts to apply the powers of social media to finding a donor. 1. Who are you? Inquiring minds want to know. Potential donors usually want to know too. If you hold or post polarized political views of either extreme, you’ll eliminate people of a different view. You should stay non-political, and cleanse your attitude as well as your personal social media presence of non-PC material. You are seeking the gift of life, your life. Recognize that everything else is trivial and not worth wasting time on. You have one goal - stay alive by getting a kidney transplant. Avoid petty social media squabbles and offensive views. Your life-saving kidney could come from someone on the complete opposite side of the fence politically and socially. Kidneys are age-, skin color-, race-, national origin-, sexual orientation-, and gender-blind. If you're not also, you'll likely be passed over for someone who is. 2. Don't specify blood type - it doesn't matter, and specifying could hurt: If you specify that you need a particular blood type, you could be eliminating large numbers of potential donors. In fact with paired kidney donation and kidney transfer chains, a willing donor of any blood type can result in you getting a kidney. Specifying blood Type is a mistake. See https://kidneyquestorg.blogspot.com/2018/11/the-costly-mistake-of-specifying-blood.html. 3. There's plain and there's fancy. Plain and Simple are Better: Fancy Wordpress-style webpages might be too slick, too professional-looking. Avoid distracting special effects and pukey colors. Keep it simple. Make your website look like the work of an ordinary person who needs a kidney - you. I don't care for kidney websites that look as if they had been designed by a Madison Avenue advertising agency. I use blogger.com for a simple but pleasant appearance. 4. Use Videos: People fail to embed informational YouTube videos sometimes made by the same hospital where they are registered. YouTube videos deliver information in an easy-to-understand way. I use them. You should too. They disseminate usual information and increase awareness of the need for more kidney donors. 5. Use Photographs: A picture is worth a thousand words. 6. Know your Stats: People don’t know their webpage stats. What are your traffic patterns? At what times of the day are people viewing your website? How many people are viewing your webpage? How much time are they spending on your webpage (i.e., how "stick" is your site?). Google and Blogger analytics can tell you what’s working on your webpage and what’s not working to drive traffic to your webpage. I used them. You should too. If you don't know your website stats, how can you know whether your message is reaching its intended audience? Answer: You can't. 7. Mobilize the Troops: Pull out all the stops. This is your life we're talking about. It's an all hands on deck situation. Get help from anyone and everyone. Try everything you can think of. Car bumper stickers, tee-shirts, lawn signs, prayer groups (Facebook has them), local TV interviews, local newspaper pubic interest articles. Enlist every group of which you are a member (social, volunteer, religious, school alumni, musical, charities - the list is endless. 8. Don't be Shy; Don't be Proud: You have nothing to loss and everything to gain by coming out with information about your need for a kidney donor. Forget about not wanting to burden your friends with your health problem. If they're your friends, they will happily do at least the minimum (sharing your post with a moving message about you). Your choice is a stark one - Pride and dignity be damned. Let everyone know you need a kidney, and let them know it again and again. Ask them to share your post again and again. Our Results are Pretty Good. How are your Results? Some of our Kidney Quests that resulted in transplants are 4FredAKidney.com (3-1/2 years on dialysis, Direct Kidney Donation 3 months after KQ's intervention); Kidney4Leesa.com (transplanted pre-dialysis via Kidney Transplant Chain after less than one year); Kidney4Jackie.com (3 years of dialysis, Direct Kidney Donation within one year after KQ's intervention); Kidney4Matt.com (6 months from launch to transplant); and, of course, Kidney4Ellis.com. Other Kidney Quests that are in progress and doing well to attract interested potential donors include 16-year old Kidney4Aidan.com (4.5 million pageviews; 60+ requests for donor questionnaire, plus overflow inquiries directed to DonorToDonor.org. Still others are in progress. We are now receiving requests for our free service. We are helping as many people as possible but it’s not enough. So we’ve been thinking about how to effectively leverage the knowledge and skills that we've developed in our self-funded non-profit volunteer work to raise kidney donation awareness in order to reach more donors and help more patients save their lives. We are working on that as we try to help others find donors. If you know someone with some basic computer and website skills who would like to help others in desperate need, let us know. You can send a message by using the form at the right side, top of the page. Or email me at emirsky@gmail.com. Specifying blood type when seeking a kidney donor is a mistake. Let's debunk the myth that you need a donor with the same blood type in order for you to receive a kidney transplant. In the case of direct donations, yes, only donors with certain blood types can make a direct donation. But direct donation isn't the only way. Paired donations (where a Donor 1 gives to Recipient 2 and Donor 2 gives to Recipient 1), increase the availability of suitable donors to the intended recipient. Kidney Transplant Chains ("KTCs") take that idea farther. In KTCs, a willing donor starts the chain by giving to Recipient 1. Donor 1 then donates to Recipient 2 and Donor 2 donates to Recipient 3, and so on. So you don't need a donor with the same blood type. You just need a donor willing to donate their kidney so that you can receive a kidney, albeit from someone else in the KTC. 1. A donor with any blood type can provide a kidney so that their intended beneficiary receives a kidney, just not necessarily the donor's kidney, but a kidney neverthless, just one from someone else who donates a kidney to benefit some other recipient or for anyone without specific direction. That's done via a KTC facilitated by one or more hospitals or by the National Kidney Registry ("NKR"). 2. Specifying a particular blood type can eliminate significant portions of the donor population who might think that they can't help the intended recipient because their blood type is different. The fact is, though, that through KTCs persons with a different blood type can donate so that their intended beneficiary does receive a kidney transplant. 4. The chart below shows the percentage of the donor population who can donate to you directly, as well as the percentage of the donor population who cannot donate to you directly. And, even though some donors cannot donate to you directly, nevertheless, their donation of a kidney into a kidney transplant chain, can result in you getting a compatible kidney, just not your donor's kidney. 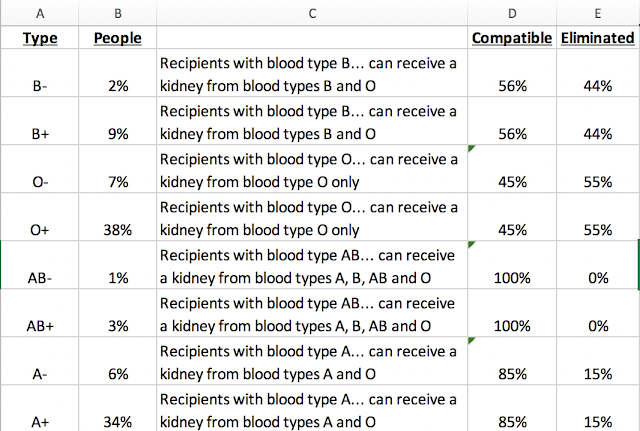 Thus, if you're O and you specify O for a donor, you're unnecessarily eliminating 55% of the donor population. 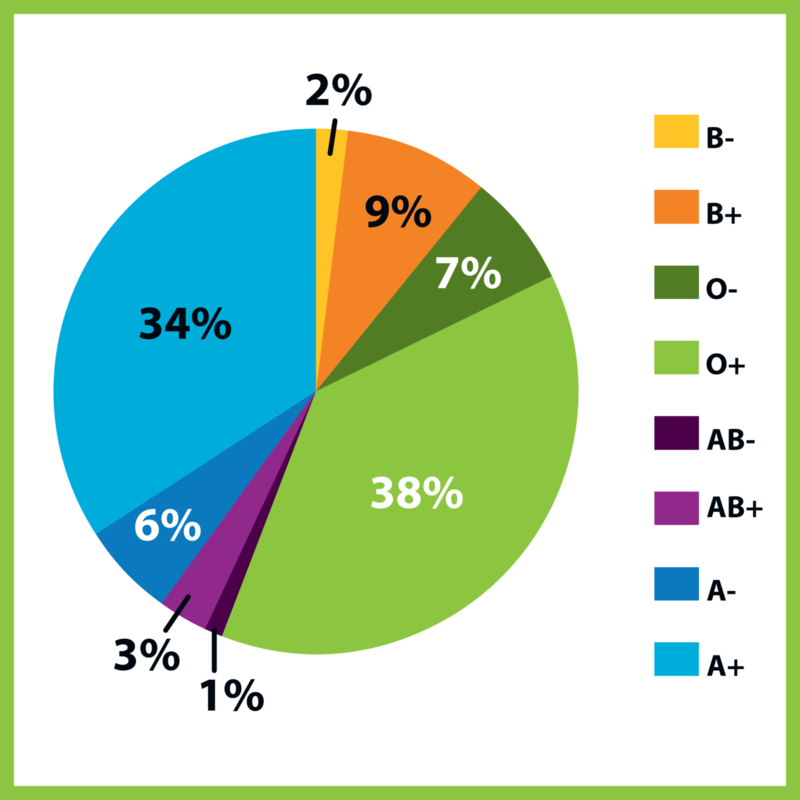 If you're B, and you specify B or O, you're unnessarily eliminating 44%of the donor population. Certainly no AB blood type recipient should ever restrict donors to AB blood types because any blood type donor can donate to an AB recipient. And any A recipient can accept A or O, and that's 85% of the population. But it's not 100% of the population so why eliminate even 15% of the eligible donor population? 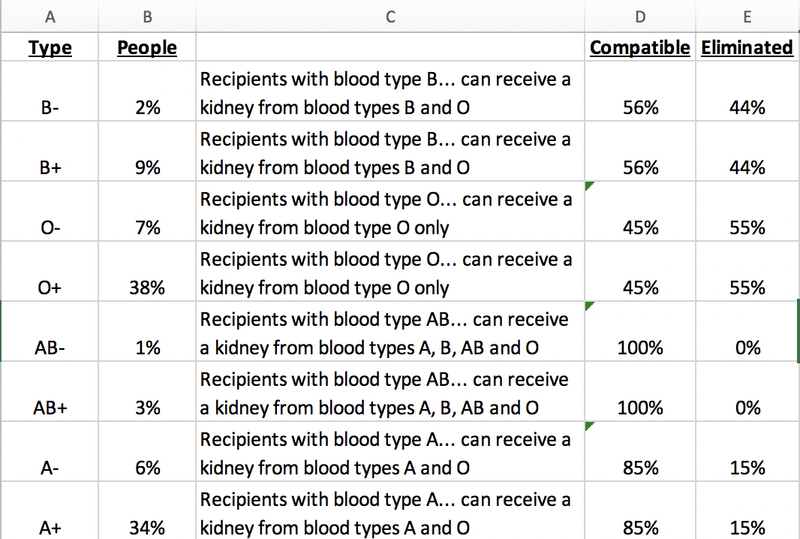 Note: This assumes uniform distributions of eligible donors among all blood types which may or may not be correct.